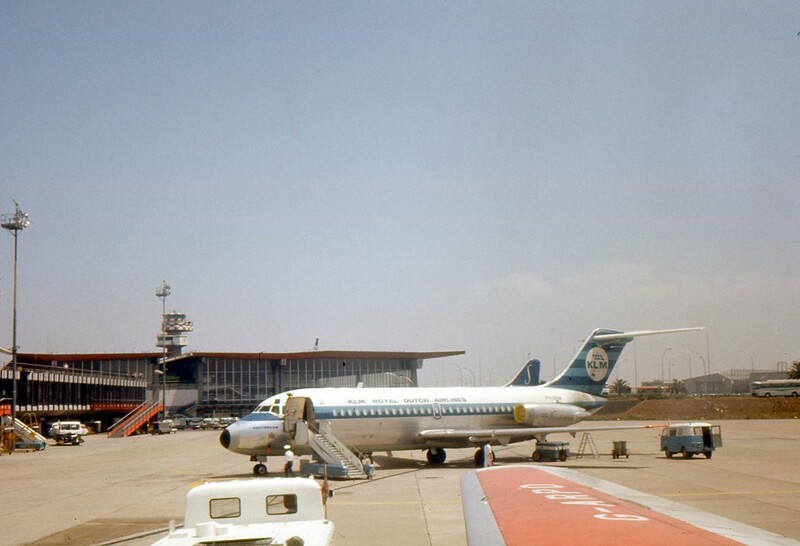 Here’s a photo we just came across showing the view over the wing of a Trident at an airport in the early 1970s. But look a little closer… you’ll see that the registration painted on the wing of that Trident is G-ARPO – our very own aircraft! We love to see picture of G-ARPO in service, so if you have any in your collection please send them to us! This entry was posted in Featured, Featured articles, Other News. Bookmark the permalink. Fantastic scene. Any idea where it was taken? Looks like the KLM DC-9 wasn’t on a short turn, given the engine covers in place. Not sure which airport Ian. Answers on a postcard, everyone!